Soccer fans around the world can now step into the shoes of David Villa, with a new game on iOS and Andoid that relives his greatest career moments and follows his journey to becoming a champion of UEFA Euro 2008, 2010 FIFA World Cup, 2011 UEFA Champions League as well as the top scorer in the history of the Spanish National Team. In the lead up to Christmas Day, special prize drawings of autographed merchandise will be given out daily during the ’12 Days of Christmas’ to lucky winners on the game’s global leaderboard. It has always been important to Villa to have a relationship with his followers, and he spent the past 9 months working with developers and designers of Cosi Games to create an experience for fans of all ages to interact with him in virtual fashion. Judging by the early five-star reviews and reactions to the game in just two weeks of release, and with nearly 200,000 people tuning into a Facebook Live demo of the game, David Villa is convinced the game will be a long-term success. 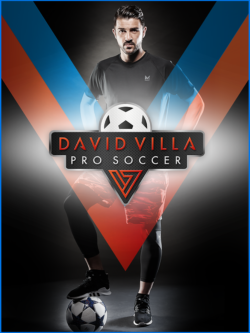 In ‘David Villa Pro Soccer’, users play throughout the different cities that defined David Villa’s stellar footballing career – from his hometown Tuilla, to Barcelona, to Madrid, and to New York City where he plays today for NYCFC in Major League Soccer. 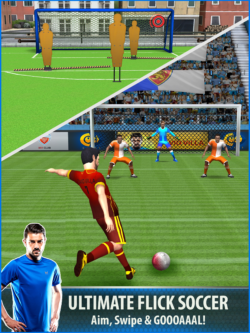 Along the way, users can uncover fun facts of David Villa’s life through exclusive in-game interviews, while avatars can be customized with specially-designed kits and balls. In addition, an online competition mode exists for those wanting to challenge each other in a ‘World League’. Prizes are given out at various stages, with the grand prize being a private meet-and-greet with David Villa himself.